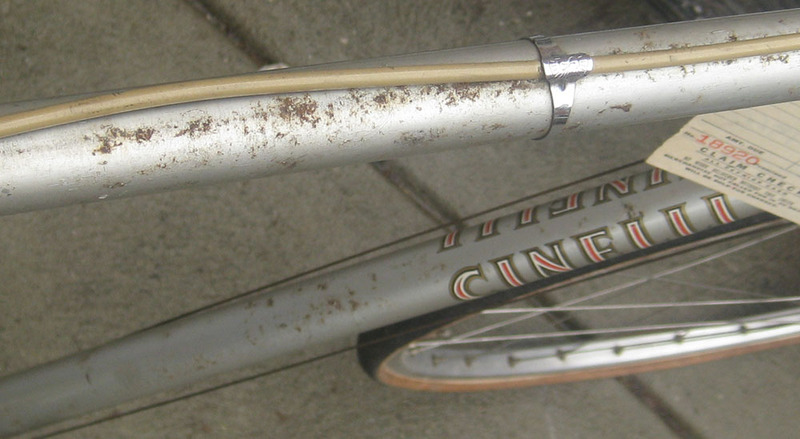 For Sale, an early 1960s Cinelli Mod. 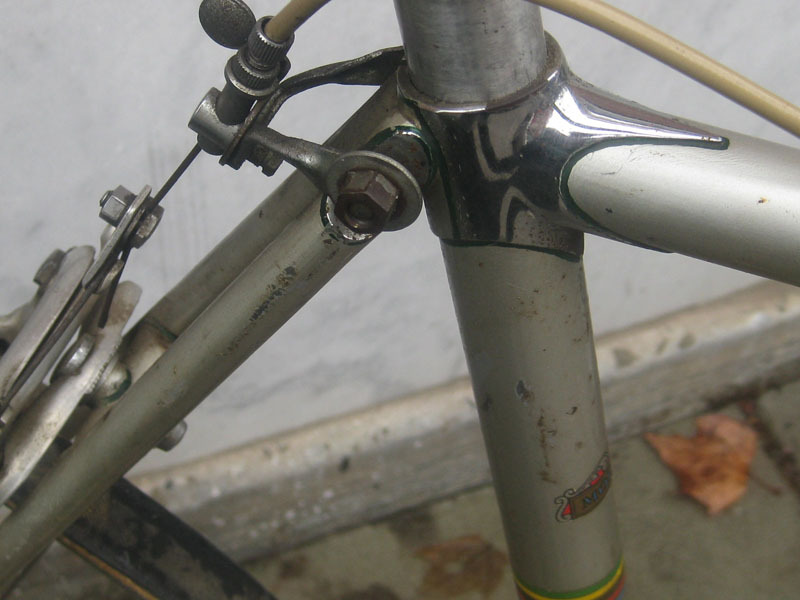 B bicycle. 54cm. 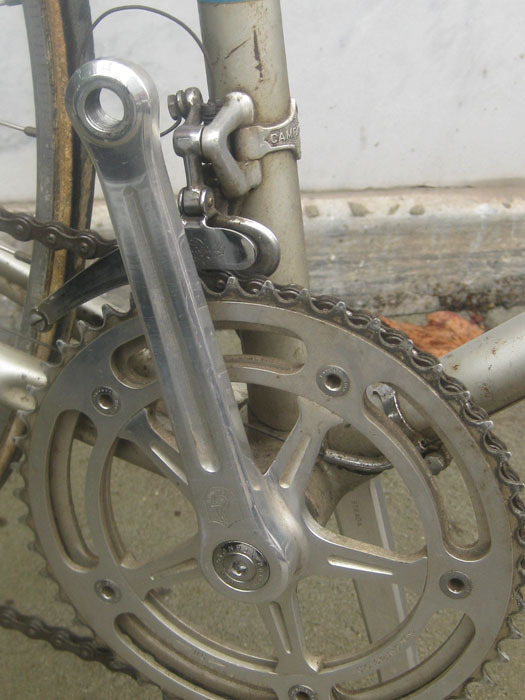 Complete Campagnolo group, with Gran Sport rear and Record front derailleur with cable stop. 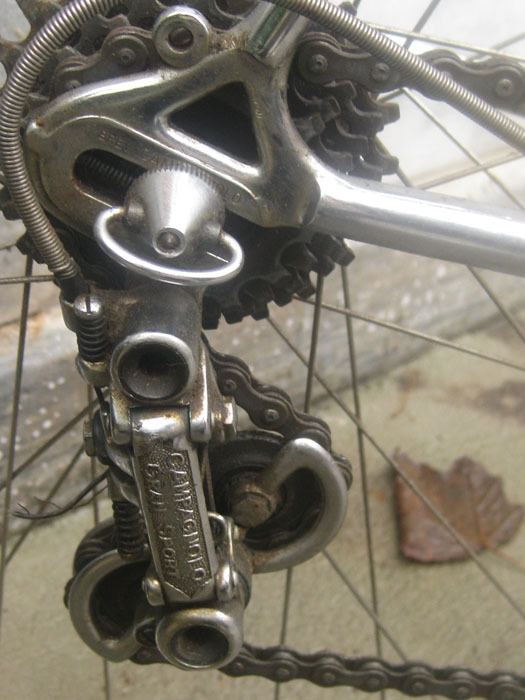 Campagnolo early raised pedal Record cranks. Campagnolo record high flange wheels. 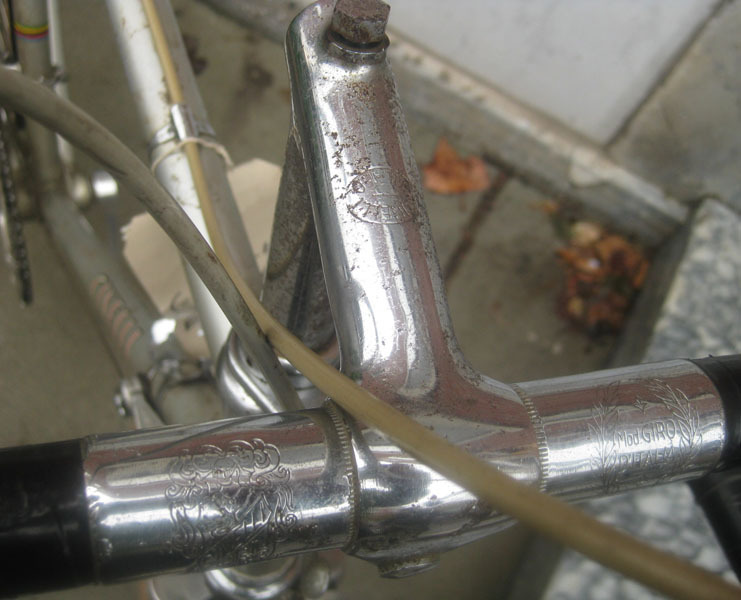 Weinmann engraved centerpull brakes. Chrome steel Cinelli stem and steel Cinelli handlebars. 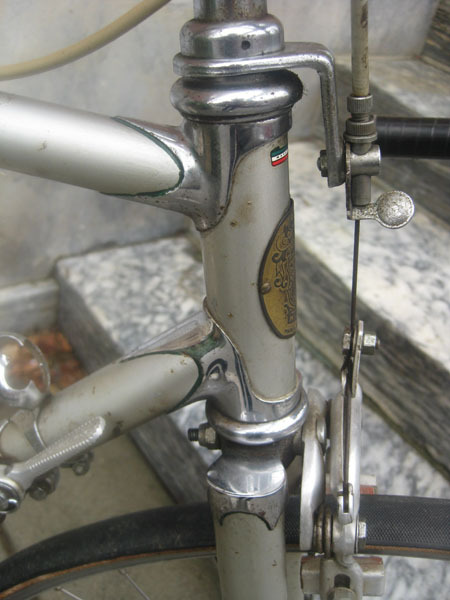 Unicanitor seat and seatpost. 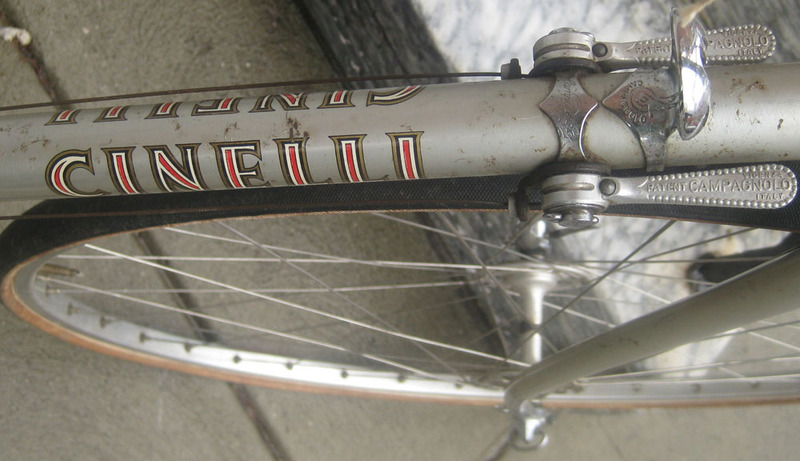 Cinelli Headset. 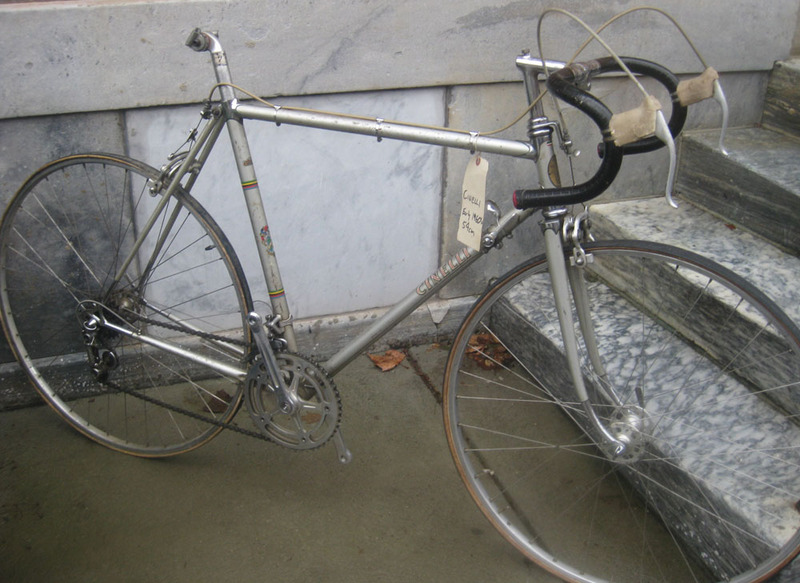 nice unrestored condition.